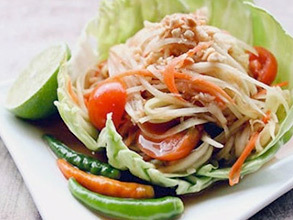 Sliced green papaya, tomato, lime, green beans, peanuts, carrots mixed in a spicy thai dressing. Red curry with coconut milk, bell pepper, basil leaves, bamboo shoots and cabbage. 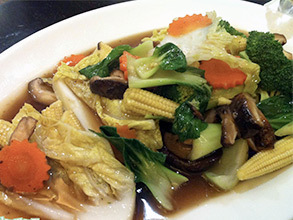 Stir-fried mixed vegetables, white onion, broccoli, cabbage, carrots, snow peas, baby corn, sprouts and mushrooms. 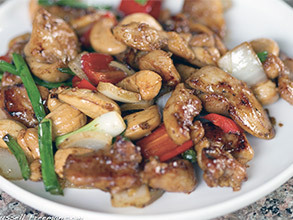 Sliced meat/veggie stir-fried with roasted cashew nuts, bell pepper, onion, mushrooms, snow peas and carrots. 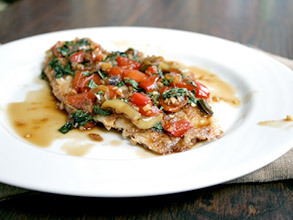 Stir-fried basa fish with basil leaves, bell pepper, onion and green beans in a special garlic sauce. 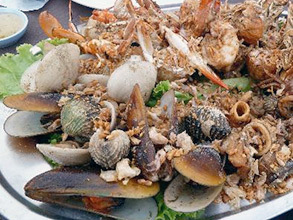 Sauteed seafood with shrimp, scallops, fish, squid, onion, red/green bell peppers, mushrooms, carrots and cauliflower. Our story began in Nepal where we became Five-star cooks in our native cuisine. We were a family business then and we are a family business now. In 2001, we brought our family recipes and traditions to Nederland, Colorado where the Katmandu Restaurant was operated by our family until 2007, at which time we opened the original Beau Thai restaurant in Evergreen, CO. Now, we are honored to open Beau Thai II, a wonderful Thai restaurant in the beautiful and growing town of Castle Rock, Colorado. Our Thai restaurant is influenced by Indian Gourmet. The Thai food you will experience at either Beau Thai Restaurant has a host of unique and delicious ingredients that are not found in other cuisines. It balances the flavors of salty, sour, spicy and sweet in a way that’s hard to describe without tasting it. Experience the freshness of fragrant herbs such as lemon grass with the pungency of nam pla (a salty liquid made from fermented fish). 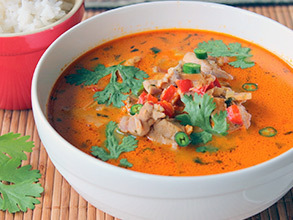 It heats you with chilies and soothes you with coconut milk. It makes your taste buds explode with such delicacies as Chiang Mai spicy sausages, seafood soup, red curry, green papaya salad – Oh wow! I bet you are getting hungry! Our Thai restaurant serves authentic Thai food at our new location in Castle Rock, Colorado. We sincerely hope you enjoy our creations and service, from our family to yours. Please come and enjoy Thai cuisine from the other side of the world at our Thai restaurant in Castle Rock, CO.
Just west of I-25 at the Meadows Parkway exit. The second Beau Thai Restaurant opens in Castle Rock! Copyright © 2018 Beau Thai 2 Restaurant | Design by Incognito Solutions, Inc.